There are a variety of dental treatment options that are designed specifically to meet the physical and lifestyle needs of adults. To straighten teeth quickly and discreetly, dentists now offer invisible braces and "instant orthodontics" with porcelain veneers. Your life and your priorities are different than a child's, and so is your mouth! That doesn't mean that you've missed the opportunity to have straight, beautiful teeth, but it does mean that you need a program designed for a mouth that has finished growing. Whether you're looking for clear or invisible braces, or porcelain veneers for an immediate transformation, your dentist has options designed with you in mind. Read the sections below to learn more about adult dental orthodontic treatment. Orthodontics is not just for children anymore. In fact, 27 percent of orthodontic patients in the United States and Canada are adults. Adults have different needs than children and may require orthodontics to address side effects of gum disease or jawbone atrophy. Adults may also wish to undergo treatment to address the appearance of their smile. There are several options when it comes to treatment, including braces, ceramic "tooth-colored" braces, and Invisalign® aligners. No matter your needs, an orthodontist can design a treatment plan that improves your oral health and the aesthetics of your smile. Traditional braces can address crooked and overlapping teeth as well as jaw-related issues. Traditional braces are the most common way to straighten misaligned teeth. Dental braces offer many benefits to patients; they permanently move the teeth and jaw into alignment so the results of treatment last as long as you maintain them. 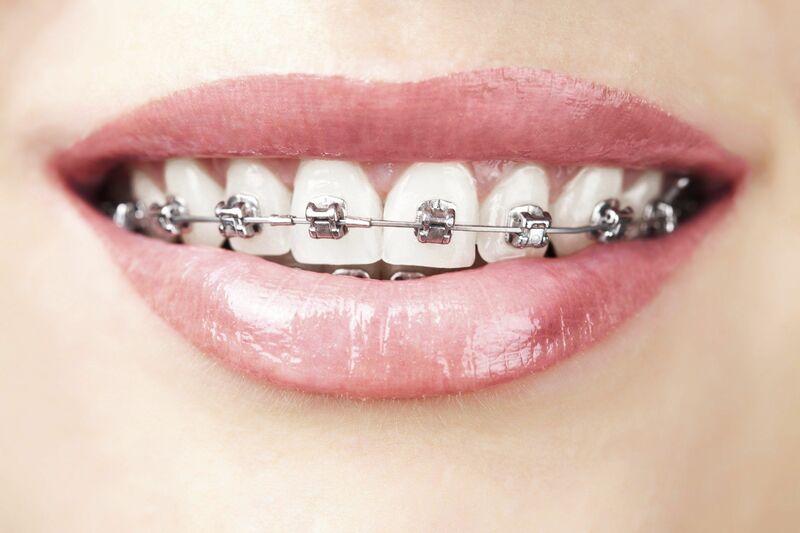 Most patients wear braces for a period of one to three years. The amount of time the treatment takes is one of its greatest disadvantages. Many adults do not want to wear unsightly metal braces on their teeth for an extended amount of time. Invisalign® is the most exciting advancement in teeth straightening technology to date. The first truly invisible braces, invisalign® appliances are used almost exclusively for adult dental orthodontics. Invisalign® is generally not used on children or teenagers because their bones are still growing, making it difficult for the computer to accurately generate future molds. 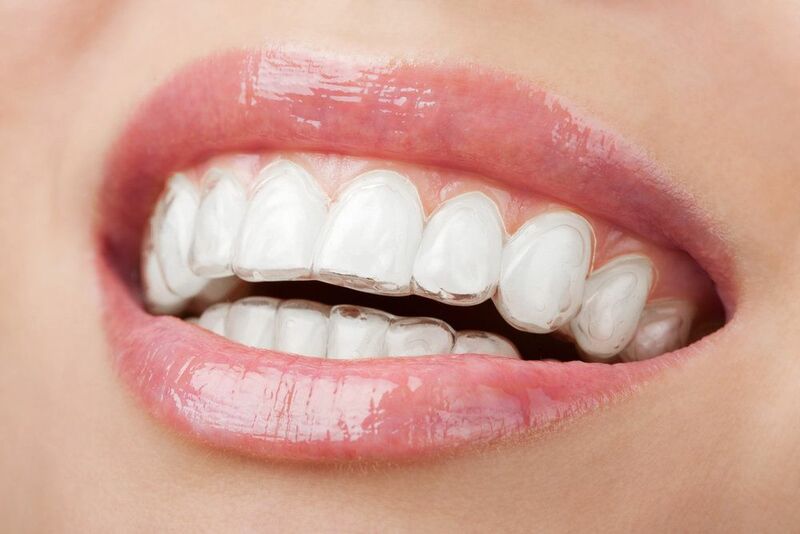 Clear aligner trays can discreetly and more comfortably straighten your teeth. Actually, invisalign® appliances aren't braces at all, because there are no brackets bonded to the teeth, and no wires. Invisalign® is a sophisticated system of computer-generated plastic appliances, custom made for your teeth. Instead of going to the dentist to have adjustments made to traditional dental orthodontics, you simply advance to the next appliance in your system about every two weeks, right in the comfort of your own home! Unlike clear or porcelain braces, invisalign® really is invisible! The clear plastic appliances are the closest thing to invisible braces on the market. You don't have to give up on having the smile of your dreams, and you don't have to show up at your office with a mouth full of metal. With the invisalign® adult orthodontics system, you really can have invisible braces. Some cases of crooked teeth and gaps between teeth, even if they're not severe, can have a significant impact on the way you feel about your smile. Still, the time, money, and pain of adult orthodontics just don't seem worth the trouble. If you would like to improve the appearance of gaps or misaligned teeth, but cringe at the thought of routine orthodontic visits over the next couple of years, then "instant orthodontics" with porcelain veneers might be just what you're looking for. Porcelain veneers take adult orthodontics to a whole new level by instantly transforming the smile. Using thin wafers of porcelain that are custom made to fit the shape and color of your teeth, your dentist can fill gaps and fix crooked, uneven teeth, usually in about three visits. With instant orthodontics, you can get the right smile, right now.